Update January 2019: Thinkstock has announced their closing scheduled for mid-2019, and is as of now inviting customers to migrate to iStock, both companies owned by Getty Images. Check out our great article listing the best alternatives to Thinkstock! you're looking for a good subscription option to Shutterstock, then iStock has what you need! 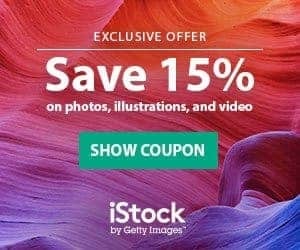 iStock has cheaper subscriptions than Shutterstock: 750 images monthly are $159,92 for their Essentials collection of great images for everyday needs, and $319,08 for their high-quality Signature collection that includes millions of photos that are exclusive to iStock. Read our full iStock agency review for more info! Plus, they have a wide offer in plans for less images a month, as well as annual options that can save you up to 30% in monthly price. Whatever your stock photo needs are, iStock has them covered. See iStock full Plans and Pricing here. Ready to explore and buy photos? Sign up with iStock now! Get the best option in iStock subscriptions here. And save money with our special iStock Promo Code! This is a comparative review of Thinkstock vs. Shutterstock where we provide a breakdown of general features that can both companies be distinguished for. Previously we touched upon this subject in our Comparison between Thinkstock and Shutterstock highly recommendable review where we introduced both companies and listed their price and subscription options. In this comparative review we present the breakdown of features in Thinkstock vs. Shutterstock dilemma that every corporate client most likely would face. Both stock photo agencies provide similar content but which one to choose for your next big project or which one to worship for the foreseeable future. By the end of this review we aim to convert you into the believer of one particular stock photo agency over the other. Who is the winner of Thinkstock vs. Shutterstock battle for you? Below is the content of this article addressing features for Thinkstock vs. Shutterstock comparative review and their differences. As a quick reference we also present the table in the end of this article. How does compare Thinkstock vs. Shutterstock in stock photo licensing? How much print runs Thinkstock vs. Shutterstock offers per license? Both companies provide subscription-based image library with millions of royalty-free photos, vector graphics and illustrations that can bes use for variety projects. For the average user choosing one company over the other is a matter of taste but there are additional features that one would want to consider first. 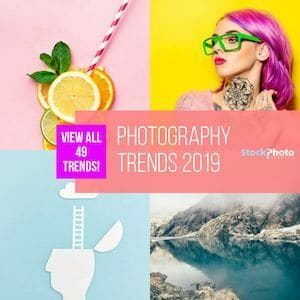 The strength of Thinkstock is that in addition to the content from the army of professional photographers and illustrators it serves as marketing front for the Getty Images, iStockphoto and Jupiterimages. Shutterstock cannot be used for the advertisements in health industry such us medical, pharmaceutical, personal hygiene, dietary supplements and others unless a special license options are selected in advance. Shutterstock is still prohibiting the use products in tobacco and adult industry. Thinkstock images have no restrictions for the health industry advertisements. In comparison with Sutterstock Thinkstock does not place restrictions on its products for the tobacco or adult industry as long as the use is not pornographic, obscene or otherwise unlawful. Shutterstock standard license allows only use of images for 3 different clients per subscription month. They also require that you always keep the record of your image useage in case Shutterstock requests it. Thinkstock places no limitations on number if clients which they images can be used and no detailed report of particular use is required. Shutterstock offers only $10,000 per subscription, not per image and it doesn't matter whether you purchased a standard or enhanced license. Thinkstock goes much further and provides more options for cases of indemnification. The company offers $10,000 of legal protection per image on the standard plan and up to $250,000 per image on the Extended License subscription. This is particularly useful since if you had legal issue with 2 different images you could effectively have $20,000 in total. Shutterstock does not particularly advertise monthly billing on annual subscription options. You have to take it or leave it. Thinkstock offers many subscription options to suit different types of client and needs. The company provides many payment options and does not require that you consent to auto-renewal of your payment method. For example currently Thinkstock offers very affordable yearly subscription plan which you can pay with flexible 4 to 12 payment instalments. Shutterstock allows up to 250,000 print runs when used their standard licensing. For more prints different kind of advance licensing needs to be agreed upon. Thinkstock allows up to 500,000 print runs and this is does not include webpage or email views. Usually print runs are for “per use” basis which means each time you use an image in a different format than before your print run counter goes back to zero. 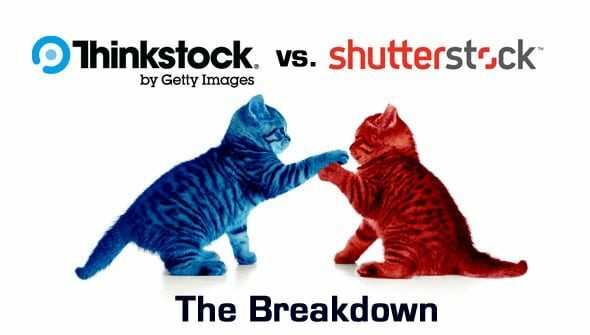 In this article we presented Thinkstock vs. Shutterstock breakdown of features and facts. For the general small and medium project the differences would not be so obvious since both stock photo agencies provide similar content and features. However, in case of big and corporate work Thinkstock vs. Shutterstock battle, Thinkstock is clear winner with its flexible set of rules less restrictions per client, per industry and per license. Things to know before No use for health industry unless specifically asked. No use in tobacco and adult industry. No restrictions in health and tobacco industries. Adult industry allowed but not pornographic and unlawful use. Thanks for your comment Brian. We really love how Shutterstock treat their contributors as well. I read this article with interest. So I went to both of these companies, looking to purchase an ext license for 50 images. Thinkstock was near 80% more expensive than Shutterstock for the same terms. thanks for your thoughts on this, very much appreciated.